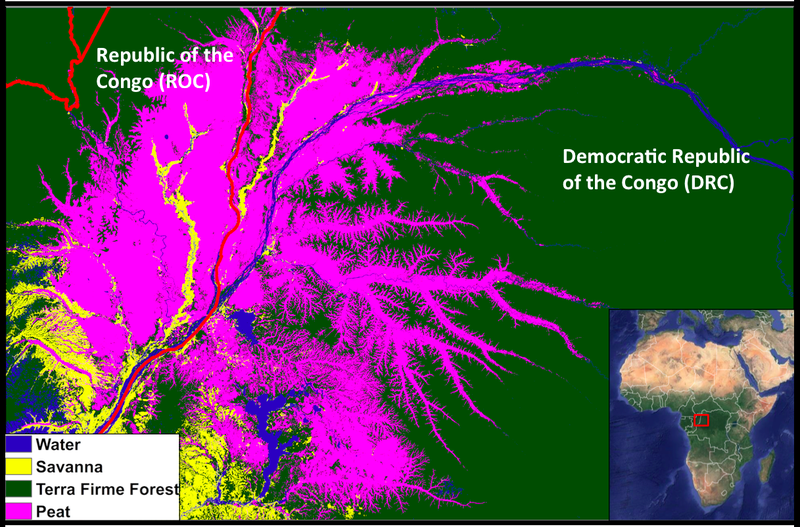 One of the largest peat formations in the world has been confirmed on the border of the Democratic Republic of the Congo and the Republic of the Congo. It’s the size of New York State and is perhaps the world’s largest carbon sink. Map by Mongabay. Mongabay has been covering the story of his enormous new finding of peatland in central Africa all year. Editor Morgan Erickson-Davis, who has been coordinating coverage, asked if I could get a follow-up story from COP23. With assistance from Dave McGlinchey, the communications director at Woods Hole Research Center, and Melanie Gade, a communications specialist with World Wildlife Fund, they both pointed me to the exact sources I needed. Morgan added in some insightful context. This entry was posted in Environment and tagged Climate change, COP23, Dave McGlinchey, deforestation, Democratic Republic of the Congo, global warming, Melanie Gade, peat, peatlands, REDD, Woods Hole Research Center, WWF on November 17, 2017 by Justin Catanoso.